Did you know that you can’t actually copyright a cocktail recipe? While you may often see drinks credited to the person who “invented” them, often a great cocktail will transcend the originating bartender and become something much more than a great drink served at a single bar. The downside of this is that it’s pretty easy to create a cocktail book: just pull together the cocktails that are out there, add some nice photos and a cool cover, and you’ve got a cocktail book. The best cocktail books either present common cocktails in a way that it’s easy to sift through, with good directions and tested proportions, or bring together unique drinks that haven’t been published time and time again. Over past holiday seasons we profiled 6 great spirit and cocktail books to buy. We’re back hitting the books with our take on four recent spirit and cocktail books. 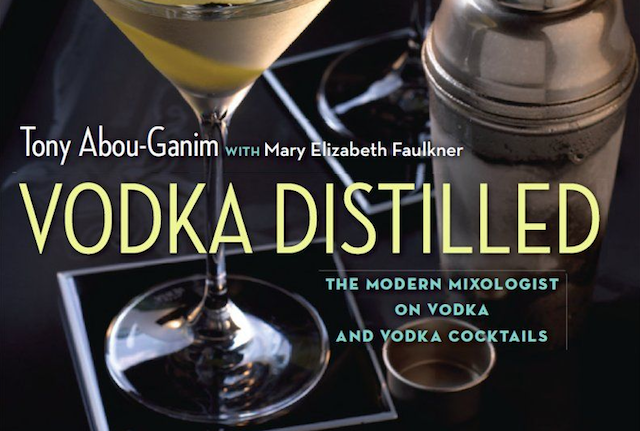 Vodka Distilled by Tony Abou-Ganim and Mary Elizabeth Faulkner ($22.95) – Vodka is a spirit that rarely gets its due. Vodka is the most consumed spirit in the United States, but it’s treated so casually and disregarded as a ‘neutral spirit’. The truth is vodka comes in so many different styles with dramatically different character, and not all vodkas are created equally. In Vodka Distilled, Tony Abou-Ganim and Mary Elizabeth Faulkner do a fantastic job of setting the stage for understanding vodka. The first part of Vodka Distilled is dedicated to explaining the history, context, styles, and method of production for vodka. 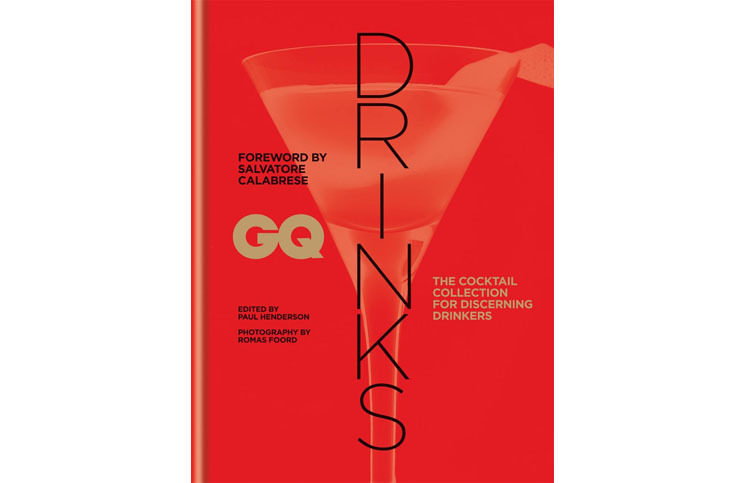 The middle part of the book features 28 classic vodka cocktails including the Cosmopolitan, Moscow Mule, Bloody Bull, and the Vesper. We would have liked to see more recipes in the book instead of the third section which profiles and reviews different kinds of vodka. One of the significant omissions is the simple British counterpart to the Cosmopolitan called the Sea Breeze – it’s a simple cocktail, but many US readers aren’t familiar with it (and it’s one of our favorite of the juice-heavy vodka drinks). In the recipe section, the photos of drinks are stunning. It’s the same level of stunning photography that was featured in Tony Abou-Ganim’s The Modern Mixologist book. It really helps elevate this cocktail book into something you can leave around on your cocktail table for people to thumb through. Recipes in Vodka Distilled are all accompanied by the history and context of the drinks as well as ingredients (given in both ounces and milliliters) and preparation instructions. One of the great revelations in Vodka Distilled is what accompanies the Vodka Martini and the explanation of why vodka doesn’t play as well with vermouth as gin. Tony Abou-Ganim also makes a suggestion for which style of vodka to use for each recipe and his recommendations, like his recipes, are spot on. The only problem with Vodka Distilled is that there aren’t more recipes. This book had the potential to become the essential tome of vodka drinks and perhaps by dropping the final review section and adding more recipes it could be. As it stands, it’s a fantastic book on vodka that’s much more than just a collection of recipes, and a must have for anyone who wants to explore vodka more. Drink & Tell: A Boston Cocktail Book by Frederic Robert Yarm ($19.95) – if Vodka Distilled had too few recipes, Drink & Tell may have too many. With over 500 cocktail recipes, Drink & Tell is a dizzying collection of original cocktail recipes. You won’t find the standard classics here, but you will find unique riffs. Love the Last Word? Try La Palabra, a mix of mezcal, Combier, Green Chartreuse, and fresh lime juice. 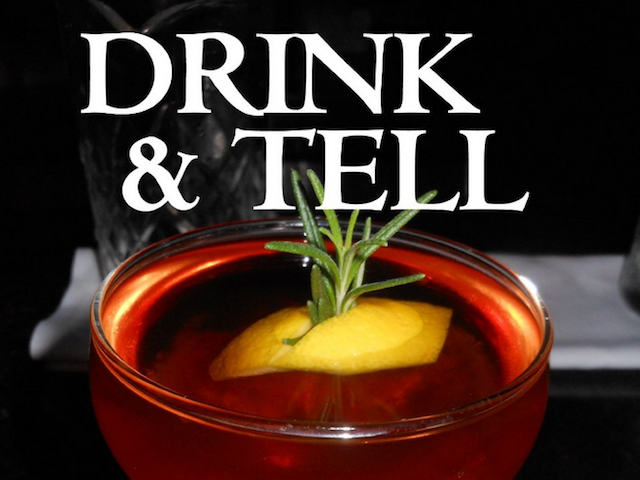 Drink & Tell isn’t just a collection of great drinks, it’s also an historical record of the cocktail revival in Boston and tracks some of the best drinks from the best bars and bartenders in Boston and surrounding area. What helps make Drink & Tell so great is Frederic Yarm’s sense of taste. Frederic has done a superb job of curating a collection of truly superb drinks, most of which you won’t find anywhere else. With so many drinks, there are a few cocktails that failed to really impress, like the Navy Dock Daiquiri with Smith & Cross, Cynar, Luxardo Maraschino, and lime, which was beyond assertive. Another issue with the book is that the drinks are presented in alphabetical order with an index showing which drinks came from which Boston bar. With so many drinks, it would have been really helpful to have an index of the drinks by style or base ingredient. In the scheme of things, the lack of a good index is a minor gripe in an otherwise outstanding cocktail book. If you’ve mastered some of the basics and are looking to venture into the world of unique and creative cocktails, Drink & Tell has plenty to keep you busy for a long time. We’re not only fans of this fantastic collection of recipes, we’d love to see a book like this from other key cities in the cocktail revival. Just thinking of a Drink & Tell Portland, Chicago, or New York is exciting. With so many great original drinks being created out there, it’s great that we have guys like Frederic dilligently documenting them so they can live beyond the bar that they are served at. Not only is this a fantastic book, it’s a solid argument for the cocktail scene in Boston being one of the most unfairly overlooked in the country. An Illustrated Guide To Cocktails by Orr Shtuhl ($20) – some cocktail books are meant to be used like cookbooks, where you thumb through to get a specific recipe, while others are meant to be read (like Vodka Distilled) to not only give you recipes, but context and background information. Some are actually less meant to be used and more designed to be displayed on a cocktail table for people to randomly thumb through. 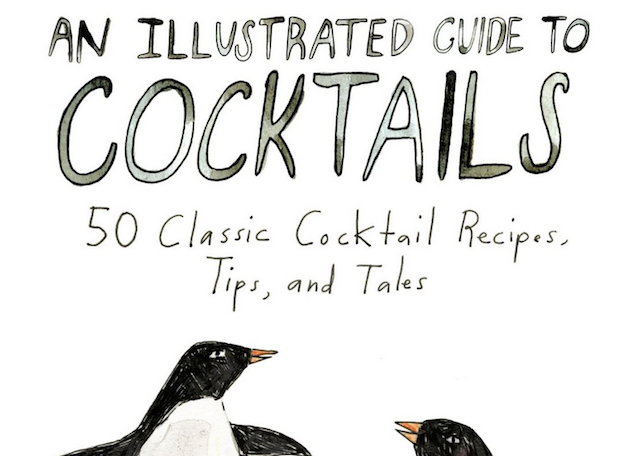 An Illustrated Guide to Cocktails is the kind of book you’re meant to randomly flip through. Featuring 50 classic cocktail recipes, An Illustrated Guide to Cocktails offers little outside the cocktails you’ll find in free or low cost ebooks at many of the key cocktail sites on the Internet, including the Mint Juelp, Martini, and Negroni. An Illustrated Guide to Cocktails also features a few “duh” recipes like Gin and Tonic drinks that are not much more than a spirit and a mixer. Some of the cocktails actually don’t have a full recipe, like the Margarita, and the cocktail recipe for The Martini is so vermouth heavy (it’s equal parts with Old Tom Gin) that it’s not going to appeal to the person who would probably buy this book. The one real saving grace is Elizabeth Graeber’s fantastic illustrations which make An Illustrated Guide To Cocktails a delight to flip through. The biggest problem with An Illustrated Guide To Cocktails is that it doesn’t seem to know exactly what kind of book it’s trying to be. 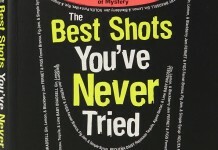 In addition to Elizabeth Graeber’s illustrations, there are some nice gems hidden in this book, including a section on “How to Drink at Weddings” that has a number of easy and common spirit and a mixer suggestions that are ideal for weddings (or dive bars), plus a nice chart that ties all the drinks in the sidecar family together. Ultimately, An Illustrated Guide To Cocktails is kind of a hipster’s cocktail book, with form over function, nicely illustrated, but also kind of train wreck of a book. Tequila Mockingbird: Cocktails with a Literary Twist by Tim Federle – where An Illustrated Guide To Cocktails fails to find its direction, Tim Federle’s unique cocktail book has a simple and clear premise and follows it to a fantastic end. The concept is great: connect classic cocktails with classic literature. The result is a collection fun and inventive cocktails that simply don’t take themselves too seriously, like The Postman Always Brings Ice, Vermouth the Bell Tolls, and 100 Beers of Solitude. There’s a lot to love about Tequila Mockingbird, from Tim Federle’s sharp sense of humor to the sheer abundance of great drinks made from simple ingredients. We also love the fact that Tim Federle has resisted the trend of branding spirits in his drink recipes, a moneymaking pitfall that many cocktail writers fall into. Tequila Mockingbird features a selection of non-alcoholic drinks under the heading “Refreshments for Recovering Readers.” Good non-alcoholic drinks is a segment that’s often unfairly ignored by cocktail writers but is a space ripe for opportunity. Tim Federle’s Charlie and The Chocolate Faketini is an easy and delicious dessert drink, while his White Tang is one of the more inventive ways of drinking Tang. 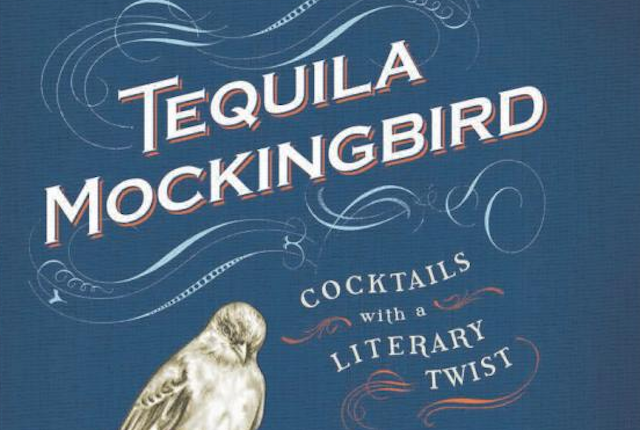 Tequila Mockingbird really works on two fronts: it’s both the kind of book you leave lying around and flip through, and the kind of book you can use to actually make drinks. One of the key elements in Tequila Mockingbird’s success (aside from its sheer inventiveness) is the pitch perfect index that breaks down the drinks by author, book, and ingredient. It’s an incredibly useful tool to navigate the book and make it eminently more usable. Tequila Mockingbird is a refreshing reminder that drinking is supposed to be fun, and it brings together the kind of cocktails you’ll actually make into a book you’ll actually use. It makes a fantastic gift, but you’ll also want to pick up a copy for yourself. Looking for more great cocktail book suggestions. 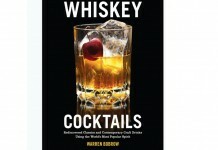 Check out our past Cocktail Book Gift Guide.